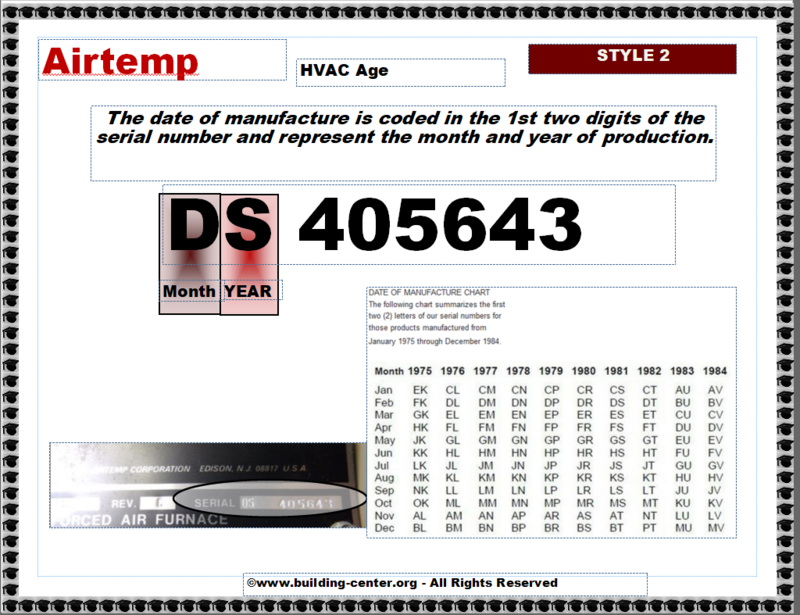 How to determine the date of production/manufacture or age of AIRTEMP® HVAC Systems. 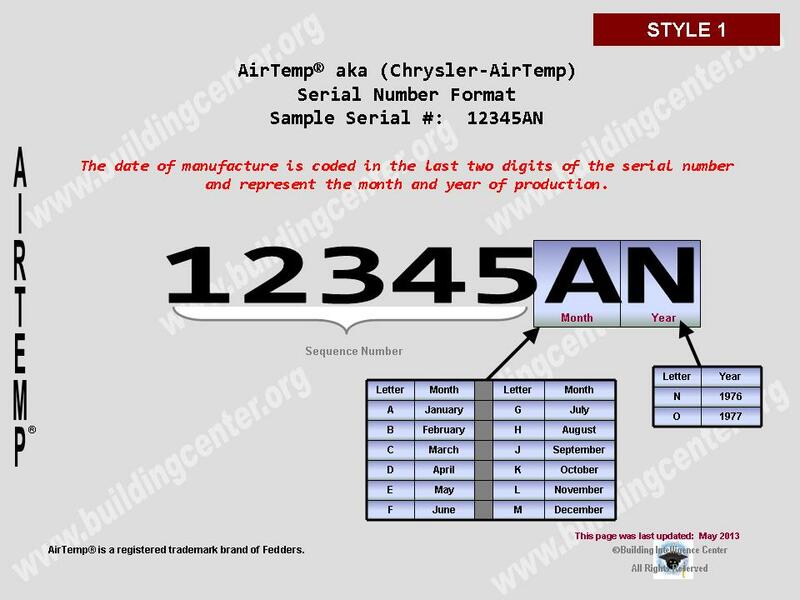 The date of production/manufacture or age of AIRTEMP® HVAC equipment can be determined from the serial number located on the data plate. Parent Company: Fedders. Fedders is part of the Airwell Group. Notes: Full sized AirTemp HVAC equipment is obsolete and are last known as being manufactured in the 70’s. AirTemp Fedders is now limited to window size air conditioners. Description: Seven (7) character serial number. Begins with a five numerical digits and ends with two letter digits which represent the month and year of manufacture. See Below. Month of manufacture can be determined by using the 6th digit. See decode chart. The Year of manufacture can be determined by using the 7th digit. See decode chart. Description: Eight (8) character serial number. Begins with two letter digits followed by 6 numerical digits. The Month and Year of manufacture can be determined by using the first two digits. See date of manufacture chart in slide below.